Many of the same character progression and combat aspects of Original Sin are still present in the sequel. For instance, each level your character gains grants them a number of points in spread across a combination of four categories: character stats, Combat Abilities, Civic Abilities, and Perks. The character stats are the familiar strength, intellect, finesse, constitution, etc. that were present in the first game. Combat Abilities encompass the special abilities, such as Warfare, Hydrosophist, Geomancer, and the like, that you can use in combat, as well as your proficiency when using two-handed or ranged weapons. The Civic Abilities, such as Sneaking, Loremaster, and Bartering, can be considered to be more like “utility” abilities that allow you to succeed at actions in the world (like picking locks). Finally, the Perks are special traits that grant you new abilities, like performing backstabs in combat, or provide some bonus, such as a one-time gift of a Combat and Civic point to spend immediately. Just as in the original, you’re still free to run around taking everything that’s not nailed down, pick a fight with any NPC you want, and complete a quest using whatever methods you see fit. I spent the first few hours back in the world of Rivellon in awe. Between Original Sin’s 2014 release and now, it’s clear that Larian has been spending time working with their Divinity Engine to tweak the graphics and improve all of its underlying systems. The water looks better than it has previously, the characters are a little more detailed, and in combat, it’s a little bit easier to see the area of effect for a particular ability. Most of the changes I’ve noticed thus far tend towards what could be considered “quality of life” improvements, such as leaving out some of the Civic Abilities (like Blacksmithing) that weren’t all that popular in the first game. However, the three biggest differences that set Original Sin 2 apart from its predecessor are the increased number of players in co-op (four now instead of two), the slightly more in-depth character customization, and the new physical/magical armor stats in combat. 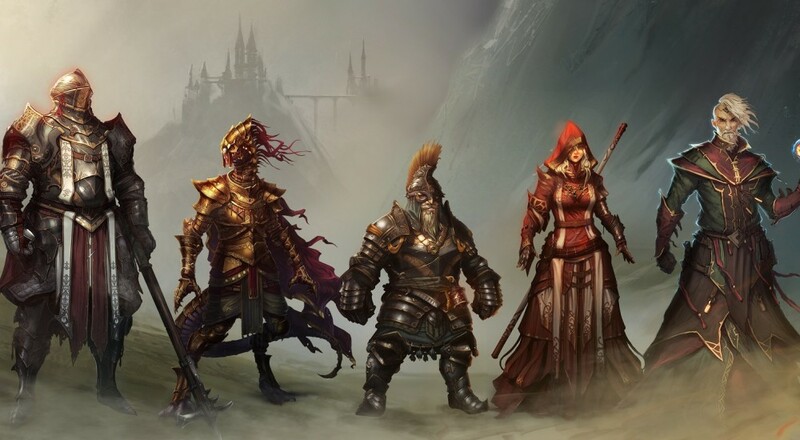 With regards to the character you create in the game, there are (for now) four playable races from which you can choose (dwarf, elf, lizard, and human), 12 different character classes that determine your starting attributes and abilities (these cannot currently be customized), and a pool of “tags” from which you can choose in order to identify your character’s background/personality, such as Scholar, Rogue, or Jester. Your race, gender, and tags will all determine how other NPCs in the world treat you as well as providing you with additional dialogue choices. For example, if you choose to play as a lizard, you will be able to speak to others of your race in your own tongue, which could lead you to different quest outcomes or new information. It’s a nice move by Larian to add a little more Dungeon and Dragons flavor into the game design. Page created in 0.6821 seconds.